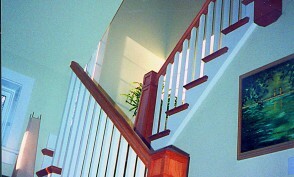 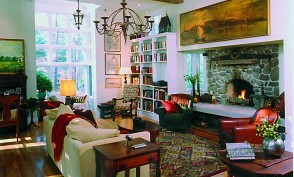 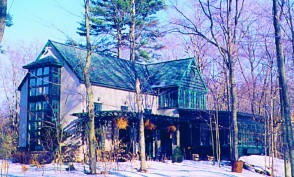 The Stoddartsville residence is a reflection of the architect and – even more important – the owners. 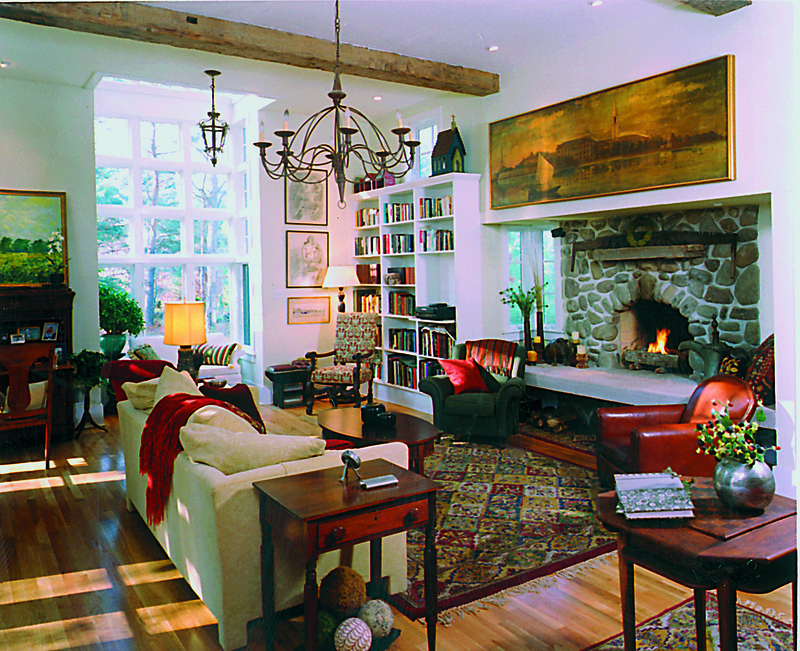 A personal retreat, this level of involvement makes the house, architecturally and aesthetically, satisfying – yet personally and emotionally a home. 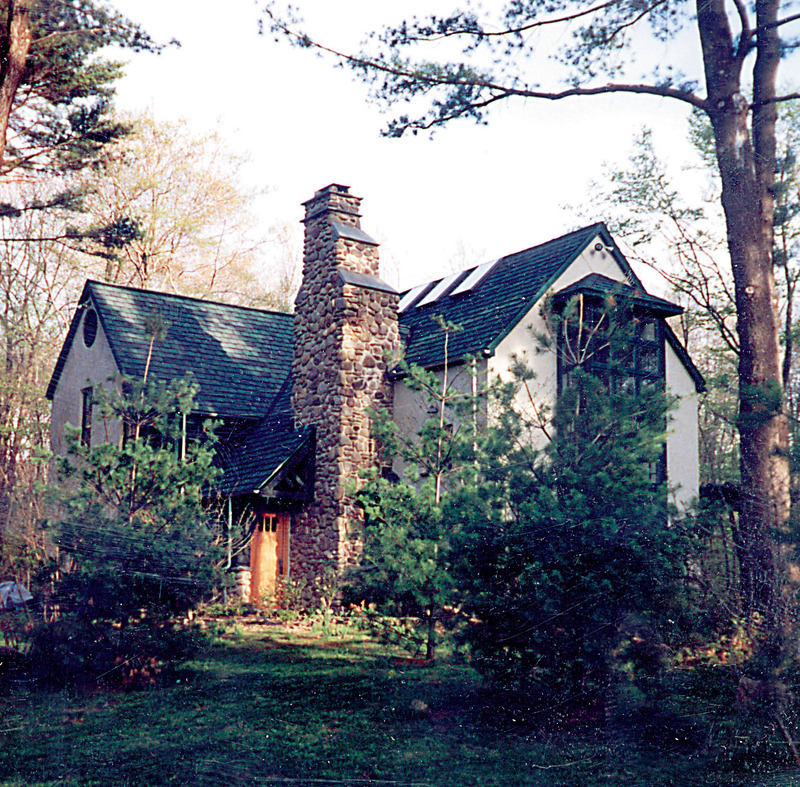 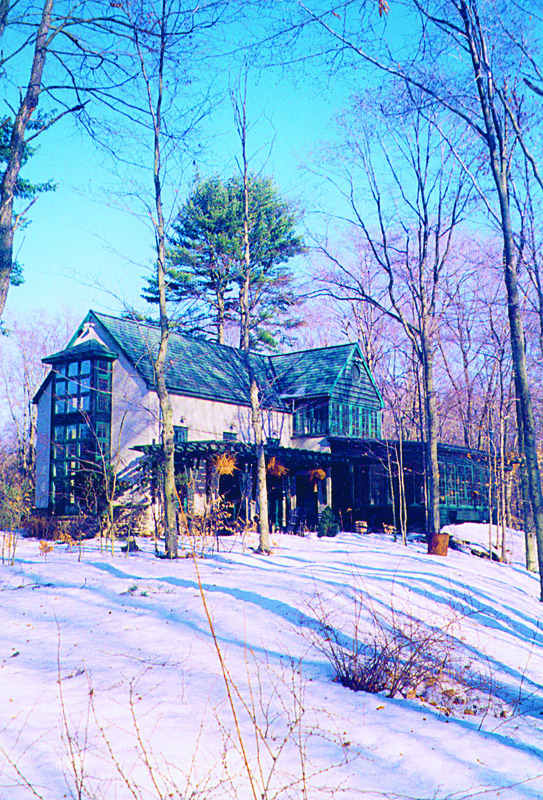 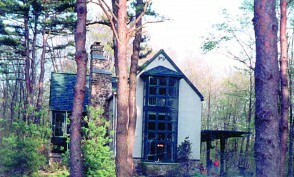 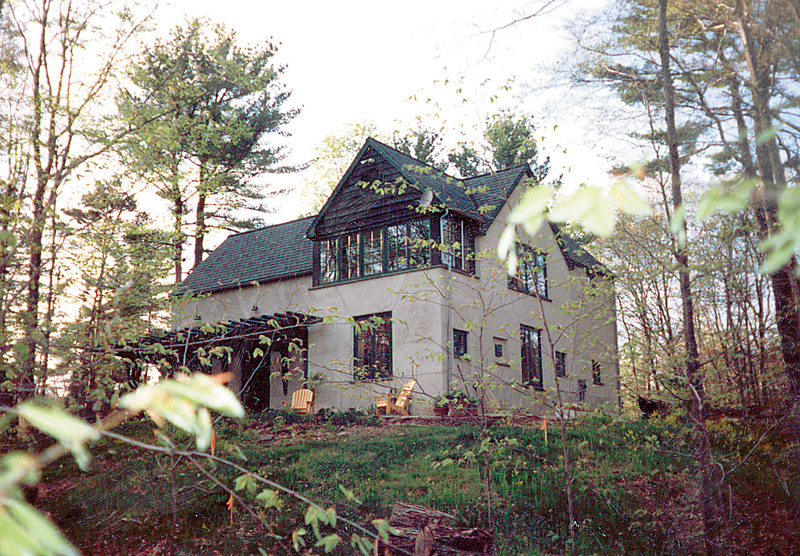 A two phase project that started in 1995 with the design and construction of a 2000 square foot week-end retreat in the Pocono Mountains of northeast Pennsylvania for Manhattan restaurateurs. 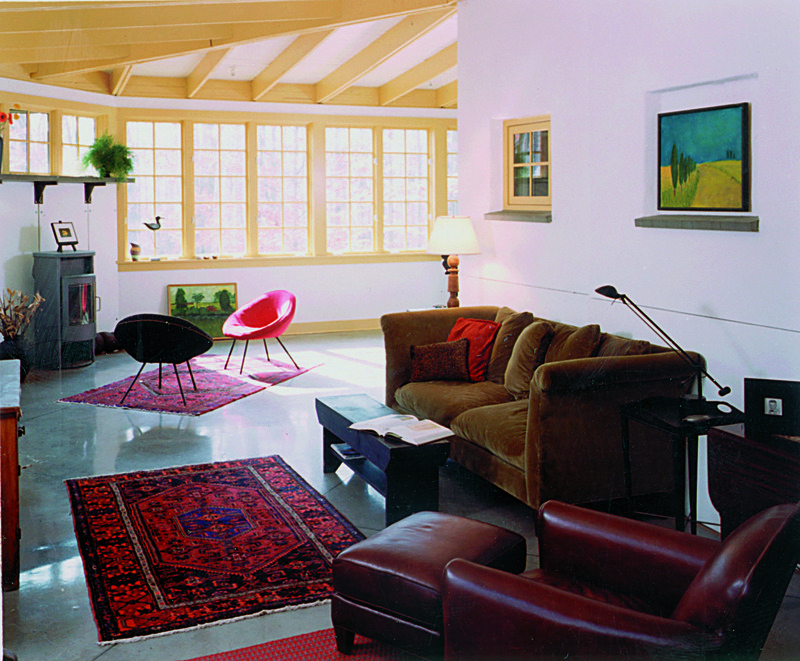 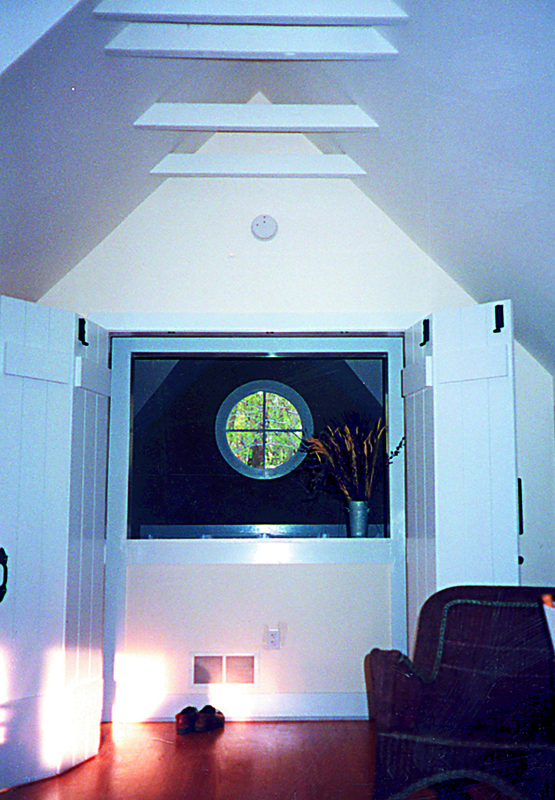 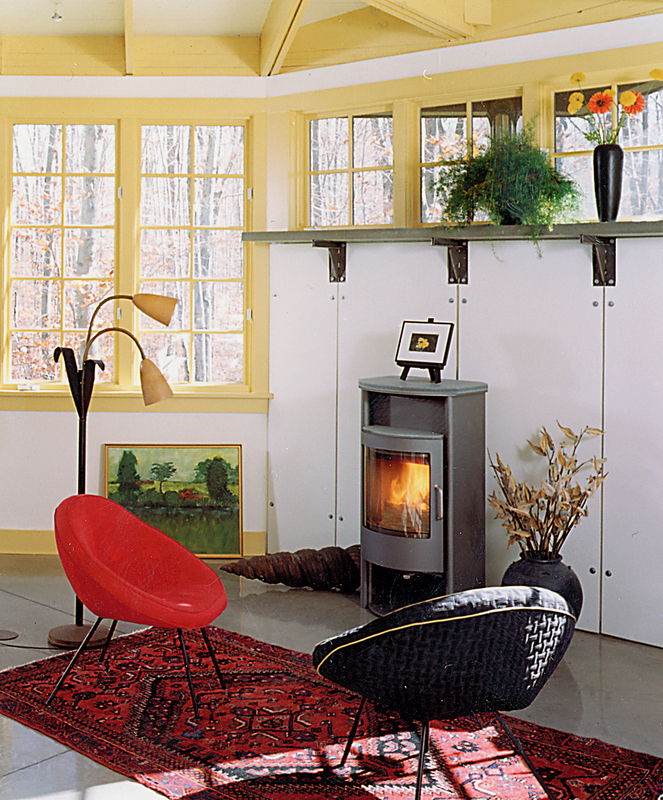 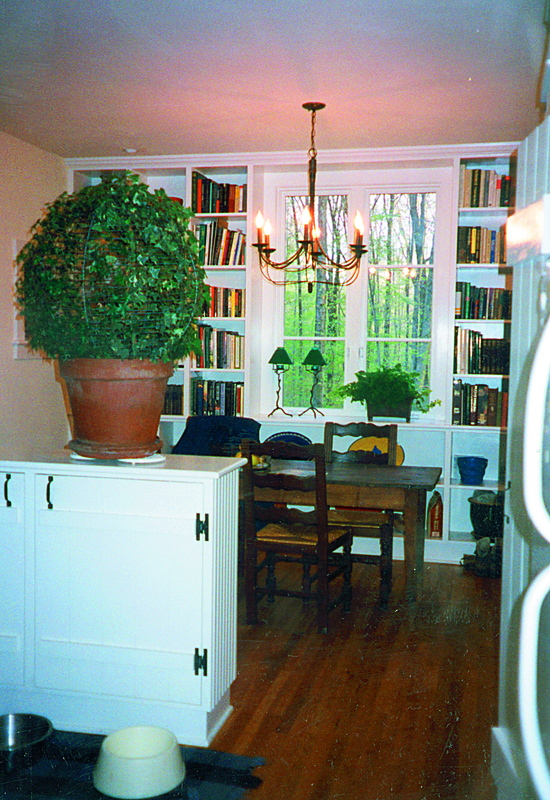 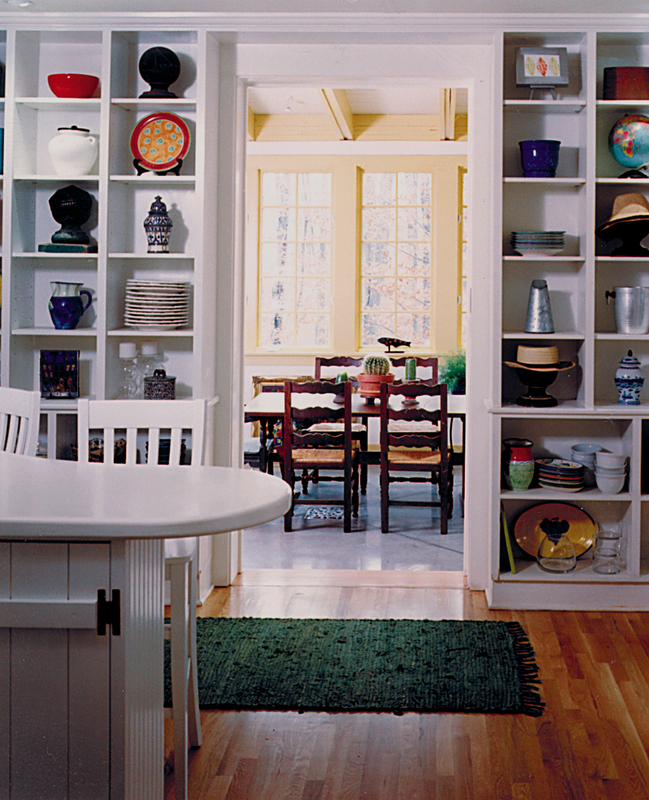 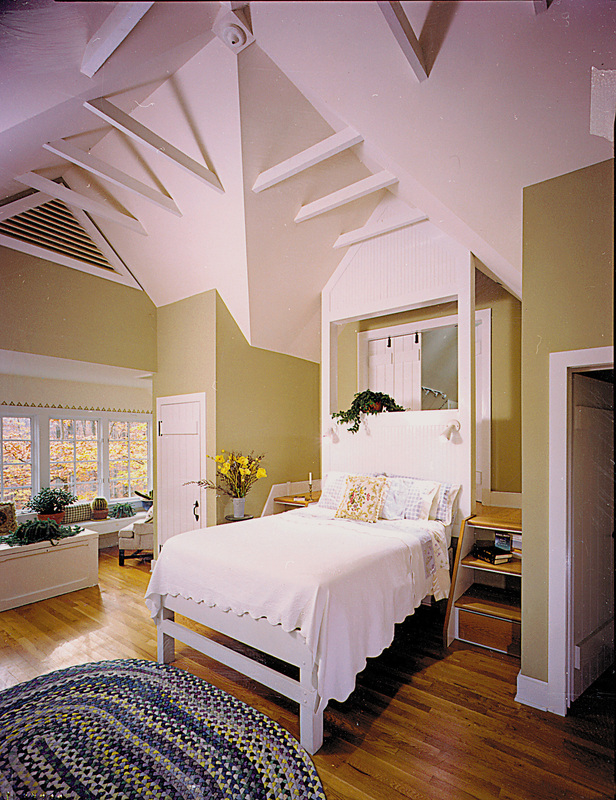 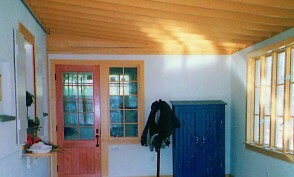 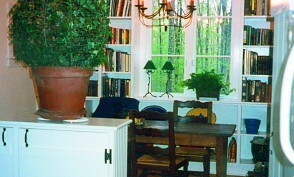 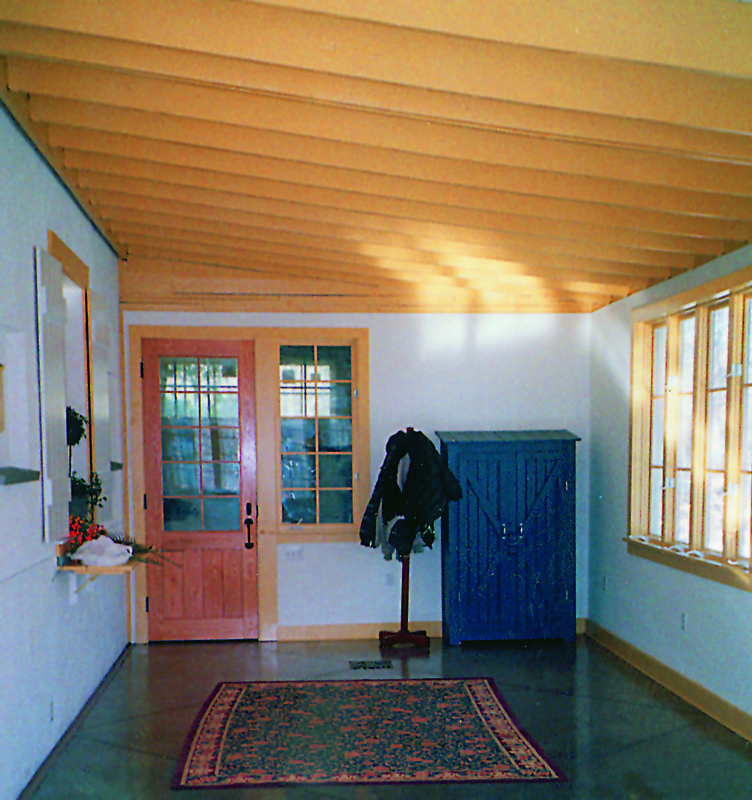 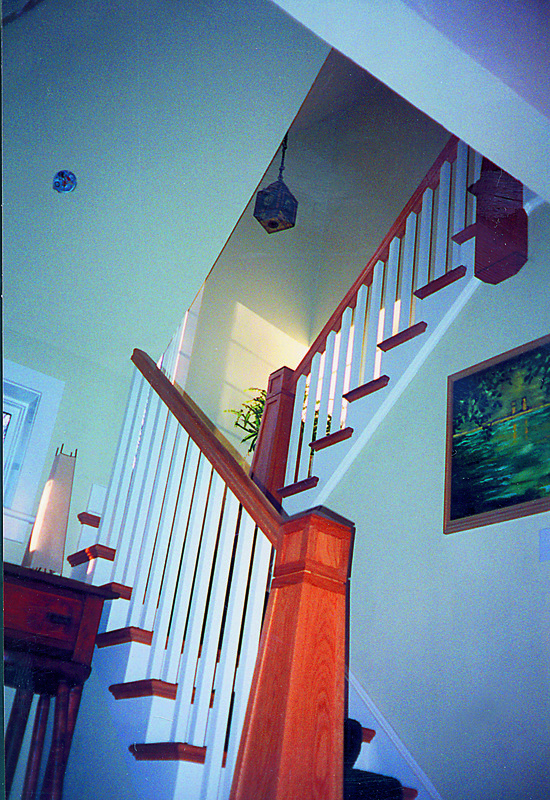 Once the house became a full time residence in 2000, the clients decided to add a 750 sf wrap around sun room on the southeast corner of the original house. 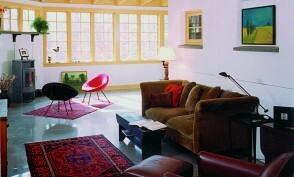 In an attempt to create a sense of timelessness, the design incorporates indigenous materials of the immediate area. 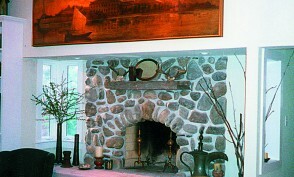 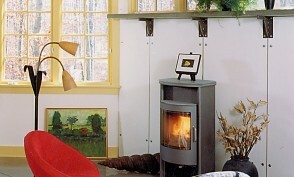 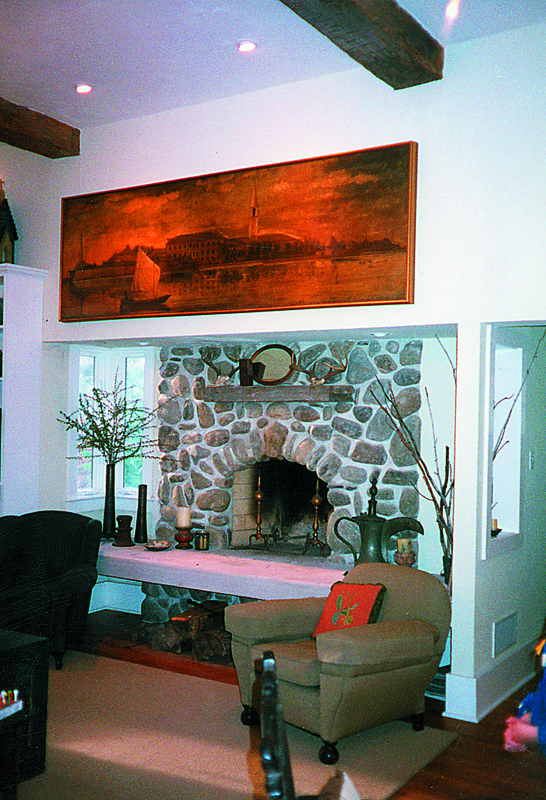 Lehigh River washed natural stone veneer is used around the base of the house and on the interior and exterior surfaces of the massive rumford fireplace and chimney. 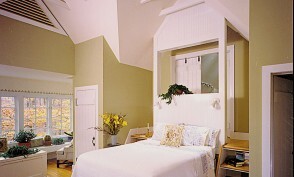 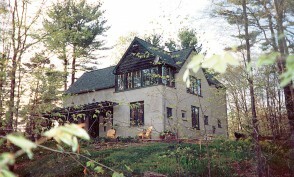 Flitch cut hemlock clapboard siding stained dark green in conjunction with natural river sand finish stucco is used to help blend the house into the grove of old white pine trees the house is nestled amongst. 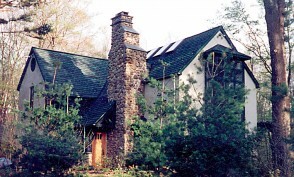 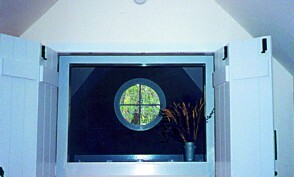 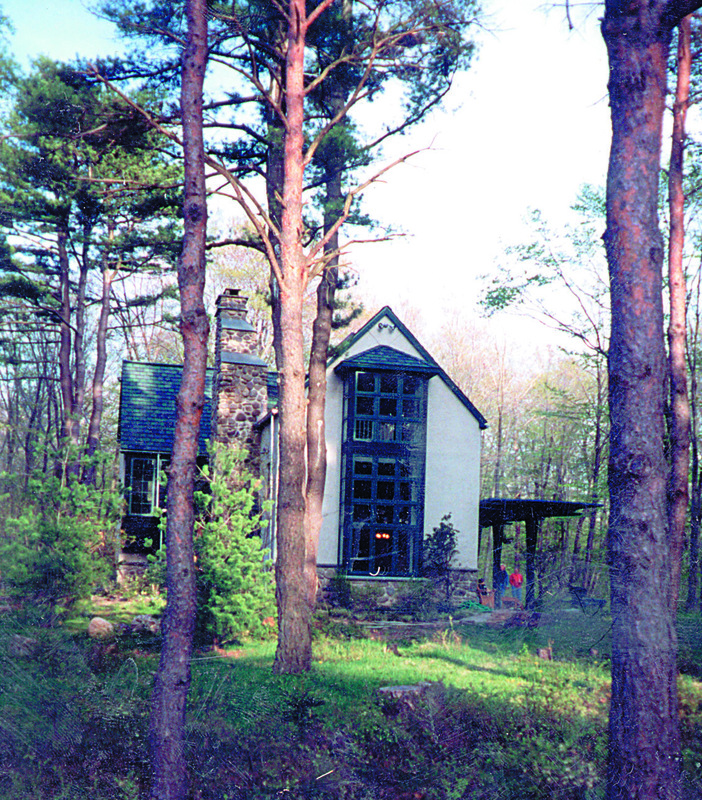 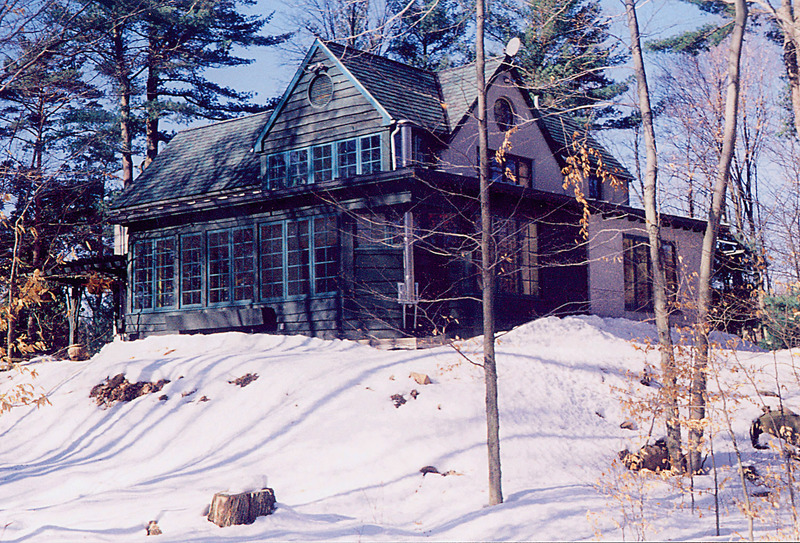 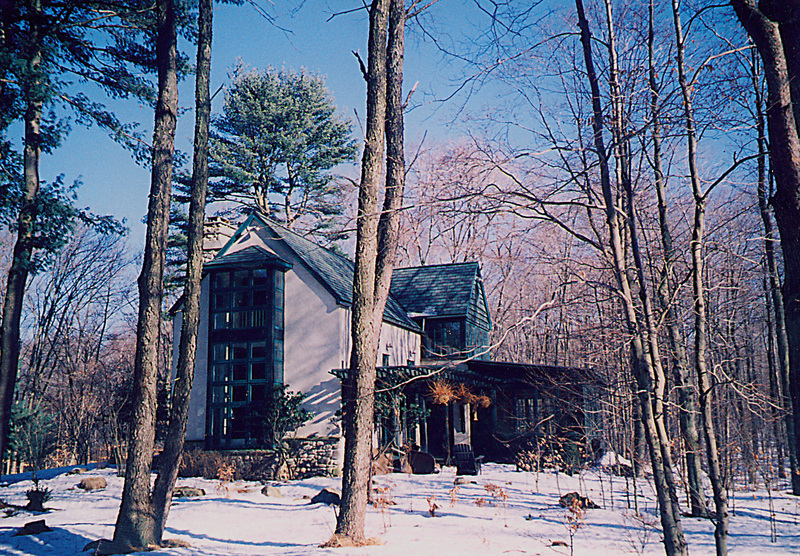 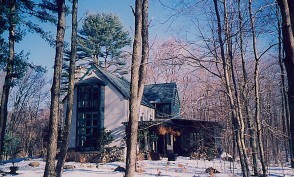 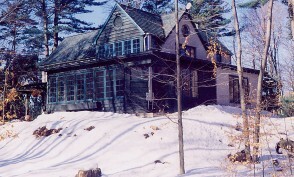 Through the judicious use of windows, the house enjoys natural light throughout the day while affording closely prescribed views into the surrounding woods.